This folio transcribes every note by every instrument on the ground-breaking 1965 bossa nova masterpiece that won the Grammy Award for Best Album of the Year and produced the classic standard The Girl from Ipanema which also won a Grammy for Record of the Year. 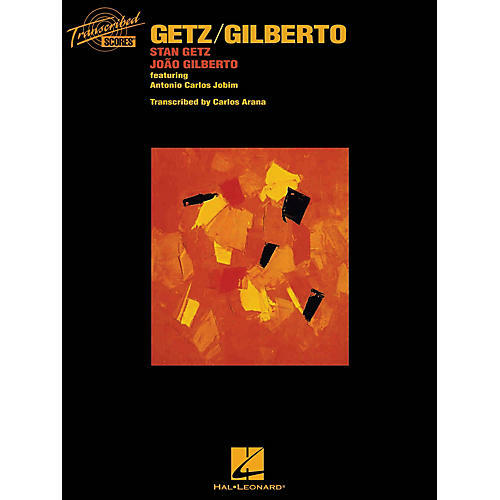 It features Stan Getz on saxophone, Joao Gilberto on guitar, and Antonio Carlos Jobim on piano. 8 songs, including: Desafinado · Doralice · The Girl from Ipanema (Garôta De Ipanema) · O Grande Amor · Para Machuchar Meu Coracao · Quiet Nights of Quiet Stars (Corcovado) · Só Danço Samba (Jazz 'N' Samba) · Vivo Sonhando (Dreamer).